Have you stayed away from the peplum because you are afraid it will make your hips look wider? If you know how to wear the peplum, the opposite is true. 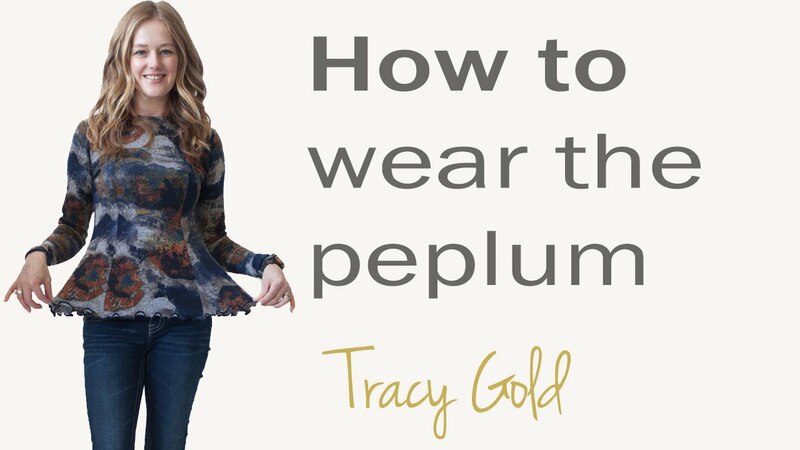 In this video, I am going to show you how to wear the peplum so it makes your hips look super slim. Have you stayed away from the peplum because you are afraid it will make your hips look wider? If you know how to wear the peplum, the opposite is true. In this video, I am going to show you how to wear the peplum so it makes your hips look super slim. I call the peplum a magic style, because it emphasises your narrowest point and flairs over the hips. Here are the three things to look out for in your hip slimming peplum style. 1. The length is very important. If the peplum sits at your widest point, it will add volume to your hips. But if it ends just above your widest point, the volume of the peplum will make your hips look narrow in comparison. 2. Print or plain? If you are wearing a plain colour, check that the fabric doesn’t cling anywhere you don’t want it to. If it does, try it on with a fitted cami underneath and this will give it a smoothing effect. Alternatively, go for a print. Provided it is fitted and not too big, it will look fabulous and conceal much more than a plain. 3. Wear fitted pants or a skirt on the bottom. Peplum tops look fab with a slim fit pant or skirt. Don’t worry, the peplum has you covered by giving your gorgeous hips the balance you want.